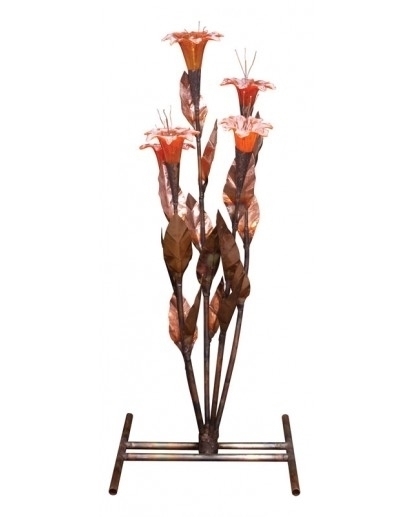 Copper Fountain Flowers bring together art, metal, & water exactly where they belong...at your home. Hand made by our designer in the most tranquil place in the midst of the deep woodlands in England. 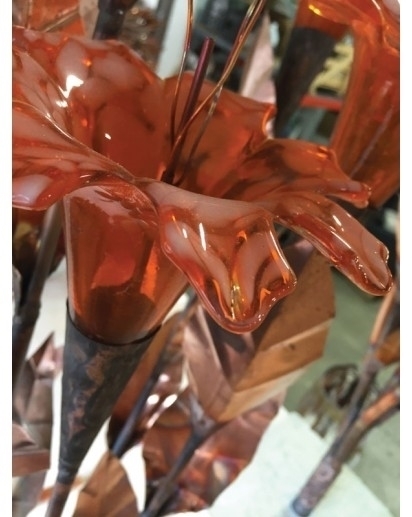 Every single element of these sculpted fountains, including the leaves, are hand cut and hand made creating the most beautiful of fountains. No two pieces are exactly identical ensuring individuality and zest in all designs. Includes stainless steel mesh prefilter pump bag to prevent clogging. 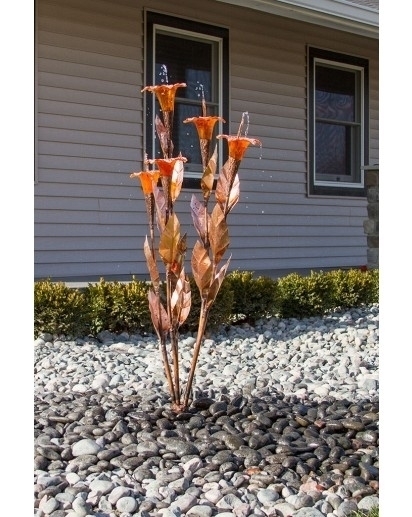 Polished Pebbles not included, but are available. 200 lbs. recommended.